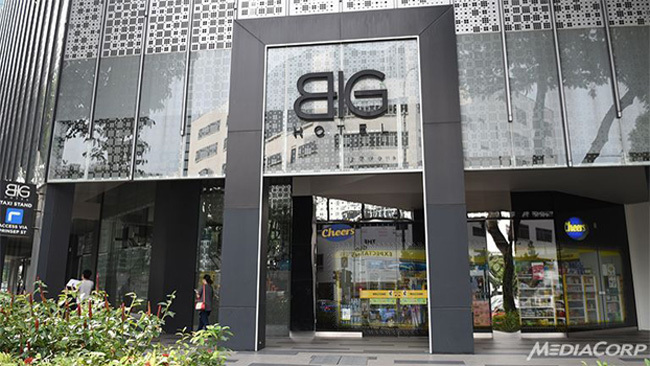 SINGAPORE: The BIG Hotel at Middle Road has been sold to a Hong Kong-based real estate investment group for S$203 million, property services firm JLL said on Wednesday (Nov 18). Originally an office building, the 308-room BIG hotel was converted by ERC Unicampus, and it opened in 2013. Facilities include a restaurant, bar, gym, car park and convenience store. JLL advised ERC Unicampus on the sale. The new owner of the property is Gaw Capital Partners, which purchased the InterContinental Hong Kong for US$938 million (S$1.33 billion) earlier this year.